The following post was written by Juanita Tolliver, Manager at America Forward. At first glance, you would assume that there aren’t any points of alignment between the Republican and Democratic platforms, but guess again. In between the ceremonial events and speeches surrounding the Republican and Democratic Conventions last month, both parties adopted their 2016 platforms. The Republican party adopted a platform that promotes a series of traditionalist themes related to religion, family, and country, and the Democratic party adopted a platform that includes an infusion of progressive themes related to equity and community. 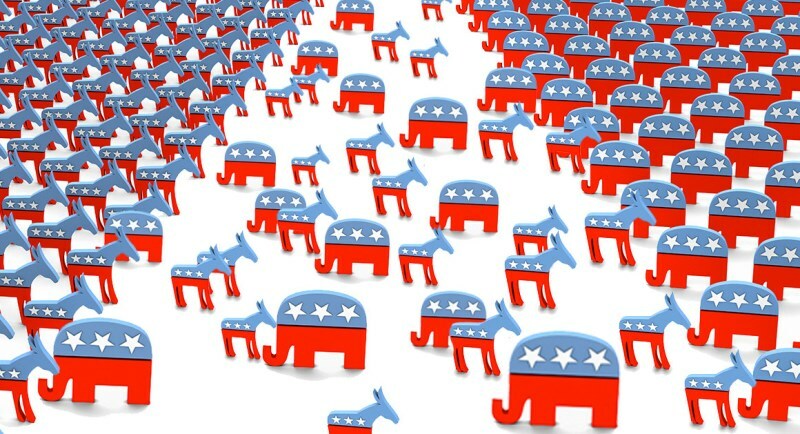 Notwithstanding the divergent tones and approaches outlined in their respective platforms, the Democratic and Republican parties both identified a number of overlapping social themes, concepts, and challenges, and America Forward has the solutions both parties are looking for. Below we outline the common ideas presented in both platforms related to entrepreneurship and innovation, education, poverty alleviation, workforce development, and government efficiency that align with the principles and policy solutions that underscore our ongoing Presidential engagement efforts and that are featured throughout our 2016 briefing book, Moving America Forward: Innovators Lead the Way to Unlocking America’s Potential. The Republican and Democratic parties both highlight the need to cultivate innovation and leverage entrepreneurship in order to create opportunities for training and skills development, as well as jobs in the communities that need them most across the country. America Forward could not agree more. One way to accomplish this would be investing in social entrepreneurs and social enterprises that have demonstrated their ability to create jobs and on-ramps to opportunities for all Americans. Consider the innovative and effective work of America Forward Coalition members like REDF and Genysys Works – two organizations that are connecting young adults and people in need of a second chance with training and job opportunities. Imagine how many additional opportunities there would be if we invested in public-private nonprofit partnerships to scale programs like these. Read more about this approach in a recent article in the Stanford Social Innovation Review penned by America Forward’s Government Affairs Director, Nicole Truhe. In recognizing the need to equip Americans with the training, skills, and abilities necessary to be successful in today's workforce, Democrats and Republicans alike call out the need to engage in effective public-private partnerships that promote programs that are working on the ground every day. America Forward whole heartedly embraces this notion, and we believe that we can facilitate this expansion is by rewarding private sector entities for hiring unemployed young adults through tax credits and policies that promote meaningful work experiences and pathways to careers, such as internships and apprenticeships. Coalition organization YearUp does just that, and has demonstrated the powerful role that private sector partnerships play in bridging the opportunity divide. For more on how YearUp addresses the skills gap, visit www.yearup.org. As the demographics of today's college students evolve, both of the major parties have included language related to the need for higher education to evolve from the traditional brick-and-mortar institutions to a system that recognizes that learning occurs in different settings and prioritizes student success and completion as much as college access. America Forward continues to advocate for policies that are responsive to the economic imperative of reforming higher education and the evolving needs of today’s college students. We are proposing that higher education institutions and employers work together with the federal government to create innovative credentialing and certification programs that reward the development of in-demand skills, no matter where today’s students learn them. By promoting competency and refocusing on outcomes, we can improve college access and success rates, as well as our nation’s economy. Click here to read America Forward’s Higher Education Policy Platform. The Republican and Democratic platforms both outline the importance of making government work for the people, and the need to cut the red tape associated with implementing evidence-based practices and policies that advance innovation, efficiency, and transparency. This is precisely what America Forward is proposing through our policy ideas related to tying payments to providers for results achieved through Pay for Results/Pay for Success and outcomes-based contracting strategies. By investing in evidence-based, data-driven programs and moving towards procurement and contracting systems that prioritize outcomes, government can increase efficiency, grant flexibility to service providers and communities, and spend taxpayer dollars more effectively. Check out America Forward’s policy priorities for expanding Pay for Success here. Join the conversation! Follow @America_Forward, and tell us about innovative solutions that work in your community using #AFPresidential16. For more information about America Forward’s presidential efforts and to read about our policy ideas and priorities outlined our briefing book, Moving America Forward: Innovators Lead the Way to Unlocking America’s Potential, visit americaforward.org.